Criminal Mischief/Tampering: 200 block of E Indiana Avenue, (Pioneer Park) – A citizen reported that there were picnic tables in the lake. Upon arrival not only were three picnic tables in the lake (still chained together) but also hockey goals in the stalls and an electrical box had been spray painted. Municipal Violation: 1000 block of 3rd Street, residents at this address have four barrels over flowing with trash. There is also a hamper with trash over flowing. This has been like that for approximately 2+ weeks. A written warning was left in the door telling them to rectify the situation in 72 hours and that failure to do so will result in a summons. Deputy was later contacted by the resident saying that he will have all the trash removed by Thursday. Theft: Frontage Road and Highway 56, a worker reported someone removed and stole both doors off a 1997 Caterpillar front end loader. Vehicle Crash w/No Injuries: Frontage Road and Highway 56, a 68-year-old man pulled in front of a 17-year-old girl, where she ran into the trailer he was pulling. Theft: 1000 block of 2nd Street, a business owner had his motorcycle license plate stolen. He noticed it was missing over his lunch break at work. Felony Eluding/Reckless Driving/Driving under the Influence of Drugs/Driving Under Revocation: 500 Block S. 9th Street, a resident reported a suspicious man looking under a tarp covering property on a trailer. Deputies located the suspect on a motorcycle, try to stop him and he eludes. About 15 minutes later a 29-year-old Longmont man was located “thanks once again”, to a citizen calling in having contacted a suspicious person who admitted he was the one on the motorcycle. Welfare Check: 900 block of 7th Street, a daughter in another state requested a welfare check on her 84-year-old mother. The daughter stated she cannot get ahold of her at this address. It was discovered that mom moved to another town. Mom was OK and very feisty. Warrant Arrest: 200 block of Welch Avenue, a 53-year-old man and a 42-year-old man were contacted at this location. Both of the men had warrants for their arrest and both were taken to jail. Forgery: 200 block of Water Avenue, a business called to report that someone had forged two business checks and attempted to cash them, but the bank suspected something was wrong and contacted the business before any money was given. Vehicle Crash / Driving Too Fast for Conditions: 700 block of E Highway 56, a 65-year-old Boulder man was driving too fast for the wet road conditions and hydroplaned off the road and into a fence. Huffing: 100 block of S 2nd Street, a 13-year-old boy was called in by his mother for huffing gasoline. Vehicle Crash: Ranchhand Drive, a driver backed into a Cadillac causing moderate damage. Incident happened on Saturday and was reported today. Criminal Mischief: 800 block of Greenwood Drive, a mother was forced to lock herself and her two infants in a bedroom as her 11-year-old son had a fit. The 11-year-old damaged the bedroom door trying to get to his mom and siblings. Vehicle Crash: Hwy 287 and CR8, a woman driver struck the rear of another vehicle when the traffic signal turned red. Assault: 100 block of Bunyan Avenue, a 57-year-old man was assaulted by a 27-year-old man. The 57-year-old man received bruising and a laceration between his eyes. During the investigation, the Deputy learned of another assault with the same suspect occurred at 4th Street and Turner Avenue, involving a female victim. Theft: a 71-year-old resident reported the 46-year-old mother of his child stole a check from him approximately 8 years ago and cashed the check for $700.00 last week. Criminal Mischief: 5th Street and Spartan Avenue, construction crew reported that a window on a bulldozer belonging to the construction company had been shot out by most likely a .22 Caliber bullet sometime during the night. Theft: 100 block of Mountain Avenue, a 23-year-old woman was contacted after she took donated items from the donation drop off area. The woman had also concealed items behind a dumpster to take at a later time. Welfare Check: 400 block of McColm, responded to a 911 call that the dispatchers could hear yelling. Turned out to be children playing on the phone. Drove while License Under Restraint: Highway 287 and CR8, a 42-year-old man was contacted for obstructed vision and found to be cancel/denied. Suspicious Incident: Fifth Street and Indiana Avenue, a worker at the school reported a siren going off at a house across the street. Deputy discovered the siren was actually the worker’s two way radio squelching. Animal Problem: 500 block of 3rd Street, a call came in from a citizen reporting a dog locked inside of a car with the windows up and the dog was panting. Owner was contacted by deputies, and he checked the dog and it was not in any stress. Owner of the dog was annoyed we were there. Family Problems / Criminal Invasion of Privacy: 300 block of Mountain Avenue, a Boulder County School Resource Officer reported that a student had spoken with a school counselor and claimed that her mom’s boyfriend, had looked at her though the bathroom window. Theft / Trespass: 300 block of Lake Avenue, a resident reported that unknown suspects trespassed into her fenced yard and took a yard decoration. REDDI (Report Every Drunk Driver Immediately): 800 block of Mountain Ave, a 60-year-old man walked into a business smelling of alcohol. The man left in his vehicle but was located by deputies and arrested for DUI. Driving Under the Influence: 800 block of Mountain Avenue, an employee called in a REDDI (Report Every Drunk Driver Immediately). A 70-year-old man was contacted and suspected to be intoxicated. Family Problem: 100 block S. 2nd Street, a son and his mother got into an argument tonight. They were both deceptive with deputies about the incident. Theft: 2300 block of Breckenridge Court, a mother and her son found a 1984 Toyota for sale on Craigslist. They sent $1500 plus $1000 shipping insurance via Apple pay to a “CLAIRE SIMONS”. It was a scam! They did some research and found out this has been a widespread scam in several countries. Assault / Obstruction of Telephone Service / Domestic Violence: 1000 block of 6th Street Court, a wife called to report that her husband attacked her last night. Dog Bite: 800 block 8th Street, a woman was bitten on her left forearm by a loose pit bull. She sought medical attention. The dog was quarantined by Larimer County Humane Society and the dog owner was cited. Warrant Arrest: 500 block of S 9th Street- a 35-year-old man was arrested on a warrant for failure to appear. Harassment / Vehicle Theft / Resisting: 200 block of 2nd Street, a 22-year-old man suspected to be under the influence of drugs, harassed his mom and stole her vehicle. The man was located later that evening in his mom’s car. He became aggressive to the deputy who returned the favor with his Taser but the suspect ran away. The area was searched using K-9’s but the suspect was not located. Early Friday morning the suspect entered his mother’s residence and deputies located him under her bed. Vehicle Crash / Careless Driving / License Plate Lamp: 1500 block of 4th Street, a deputy attempted to stop a 22-year-old woman for a defective license plate lamp. She was slow to stop and pulled over in a parking lot. As she drove in the parking lot she hit an unoccupied parked vehicle. Warrant Arrest: 200 block of W. CR10E, a 14-year-old boy was arrested on a no bond warrant and transported to the HUB. Criminal Mischief / Trespass: 1800 N 4th Street and CR15C, a resident reported an abandoned vehicle, stuck in the mud in his pasture. 2 adult men went 4 wheeling. The resident was familiar with both parties and everyone decided to work it out. Suspicious Circumstances: I-25 and Highway 56, a driver was northbound when something hit her her driver’s side front window causing it to shatter. The driver was visibly shaken thinking her vehicle had been shot. It is believed it was road debris or a rock. Vehicle Crash: 400 block of Meadowlark Drive, a 41-year-old man was following too closely and struck the rear of another vehicle. Assist to State Patrol / Vehicle Crash: CR15A / RR Tracks assisted State Patrol with a fatal motor cycle crash just outside of Berthoud. Warrant Arrest: 1600 block of Willow Drive, a 19-year-old man was contacted and arrested for a traffic warrant. Traffic Issue: Bunyan and 1st Street, a large group of High Plains Drifter motorcycle gang were in town all day. Residence in the area did complain about motorcycle noise and speeding. When they were contacted they were cooperative and polite although all members had either a hammer or large flash light on their belts. Possession of Schedule I and II Drugs: 500 block of S 9th Street, a mother located her 31-year-old daughter in the basement of her home holding a bag with numerous needles visible inside. Upon contact with the daughter, she admitted the bag resting on the bed next to her was hers. Inside the bag meth, heroin, marijuana, and various paraphernalia were discovered. Civil: 100 block of E. Iowa Ave, a mother and daughter came to this address attempting to retrieve their dog from a foster care provider of an Animal Rescue. Driving Under Restraint / Speeding: 800 Block of 4th Street, a driver was stopped for speeding and found to have a canceled/denied driver’s license. Driving Under Restraint / Turn Signal Violation: 4th Street and Mountain Avenue, a driver was stopped for failing to use his signal a turn. The driver was confirmed cancel/denied for an unpaid ticket. Neighbor Problems: 200 block of 2nd Street, a resident called to say that a juvenile walked through his yard. Vehicle Crash / Hit and Run: 800 block of Mountain Avenue, a Loveland man called to report that someone had hit his motorcycle while it was parked in the parking lot. Vehicle Crash / Driving Under Restraint: WCR44 / NE Frontage Road, a three-vehicle non-injury crash. All three vehicles and a utility pole were damaged. Vehicle 1 driver was charged with Careless Driving, No Proof of Insurance and Driving Under Restraint. Xcel Energy responded to fix the damaged utility pole. Vehicle Crash: 200 block of W CR10E, a landscaping crew was exiting the storage facility when the gate closed on their trailer causing moderate damage to gate. Burglary / Theft: 200 block of Victoria Street, a resident called to report an unknown male entered her house and stole her prescription pain medications. Family Problem: 300 block of E. Colorado, a 33-year-old homeless woman spent the night in her mother’s garage along with her boyfriend. When her mother left for the day the woman went into her mother’s house and took several personal care items. Warrant Arrest: 300 block of 1st Street, the boyfriend of the woman above had 2 warrants out for his arrest. Found Property: 300 block of E Michigan Avenue, a red and black messenger bag with clothes in it was found in the alley behind the residence a few days ago. Homeowner waited to see if someone would pick it up. Vehicle Crash: 600 Block of Mountain Avenue, a 16-year-old Berthoud resident failed to stop in time and rear ended another vehicle. Very minor damage to both Vehicles. Citizen Assist: 1600 block of Mt. Meeker, a resident was digging in his back yard and ruptured a water line. Berthoud Fire Department and Berthoud Water Department responded and shut the water off. Welfare Check: 300 block of Turner Avenue, a 28-year-old man was involved in a disturbance with his family and allegedly cut his wrists earlier in the evening. Disturbance: 200 block of E Colorado, responded to a report of a disturbance, during the investigation it was determined everything occurred in Longmont. Longmont PD made aware. Realities Ride for Children came thundering through the town. It was estimated that well over 1000 motorcycles came through and brought business to Berthoud merchants. 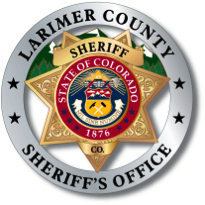 Under Age Party / Minor In Possession / Assault: 1000 block of King Drive in Loveland, a juvenile graduation party from Berthoud High School ended with a 16-year-old girl and a 15-year-old girl fighting after becoming intoxicated. One of the girls damaged the other’s vehicle then the punches started flying until the fight was broken up. All parents contacted and responded to the scene. All juveniles who were intoxicated were cited. Assist to the Fire Department: 1400 block of Oak Drive, Single family residence caught on fire which appeared to have started in workshop area of garage and quickly spread. Family was able to get out of the house safely and neighbors called 911. Vehicle Crash: 3rd Street and Turner Ave, a driver failed to yield right of way when entering traffic and struck another vehicle. Vehicle Crash / Hit and Run: 900 block of Mountain Avenue, a driver reported someone hit her vehicle while it was parked in the parking lot. Run vehicle will have passenger side front end damage possibly tan or brown. Warrant Arrest: Massachusetts Avenue and 7th Street, a 45-year-old Berthoud man was contacted on a traffic stop. He had a misdemeanor warrant out of Boulder County. Abandoned Vehicle Tow: Highway 56 Park and Ride, a silver Volvo S40 was towed by Chuck’s Towing after being tagged for a 72 hours. Vehicle Trespass: 7th Street and Capitol Avenue, a resident reported that someone entered her unlocked vehicle and took her prescription bottle. Disorderly Conduct / Public Urination: 400 block of Meadowlark Drive, an 18-year-old Berthoud man was contacted at this location after he was seen urinating in the parking lot. Harassment: 500 block of E CR8, a Berthoud resident reported that his boss and landlord came over to his residence and told him that he had to move out. He claimed that his boss pushed him. Harassment / Harassment / Menacing: 100 block of Mountain Avenue, a resident called to report that on Saturday evening he received threatening text messages from his brother. The brother attempted to cool things down by sending text messages the next morning saying his threats were an April fool’s day joke. The summons he received was not an April fool’s joke. Trespass: 400 block of Bimson Avenue, a resident called to report that a 31-year-old Loveland man had unlawfully entered his house the night before. Site contents copyright © 2019 Recorder Online	except as noted. All rights reserved. | 89 queries in 2.221 seconds.